Gove: the barrister’s best friend? Legal Futures has gained exclusive access to what is believed to be the transcript of a secret meeting held recently between Lord Chancellor Michael Gove and a delegation from the Bar Council. Michael Gove: I warn you – once I’ve made my mind up, I don’t budge. Like my decision to maintain the cut in solicitors’ legal aid fees but revoke the cut in yours. You won’t persuade me to change my mind, oh no. Barristers are fearless warriors in the battle to uphold the majesty of the law and must be protected. Bar Council negotiator: That’s most kind, sir. Gove: So, can you please ask those barristers who are still unhappy with my reforms to put a sock in it? BC negotiator: Well, sir, it would help if you would ban barristers being forced to pay referral fees to dastardly criminal defence solicitors. Gove: I didn’t realise this was a problem. BC negotiator: Oh yes, Lord Chancellor. A big problem. Gove: We’re evidence-based policy makers here, you know. Quantify ‘big’. BC negotiator: Really big. Loads of people will tell you. Well, they may not but that’s only because they’re scared of upsetting these beastly solicitors. Gove: Golly, that is compelling evidence. But isn’t it already banned under Bar Standards Bard rules and the Legal Aid Agency’s standard contract? BC negotiator: Well, yes, but think what an impressive headline, I mean ban, it will be if you put it in statute. Gove: Quite right, we’ll ban it. What’s next? 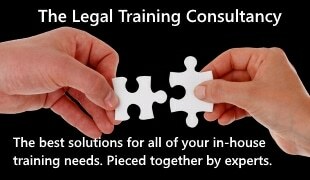 BC negotiator: Did you know that solicitors sometimes tell their legal aid clients to use their own in-house advocates? Gove: Erm, that sounds OK, doesn’t it? Might be quite sensible in some cases, surely? 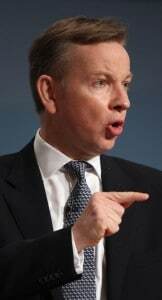 Gove (laughs): Maybe I’d beaten to death an official who misused an apostrophe. BC negotiator: I’m sure they’d deserve it, sir. In that situation, wouldn’t you want your solicitor to advise you to choose the best possible advocate – one trained in the finest traditions of the Bar, for example – instead of some chap who can only get the work because they’re the solicitor’s lackey? Whither choice, quality and independence, Lord Chancellor? Gove: By Jove, you’re right. And by Gove, we shall look to stop that too. Anything else? BC negotiator: Have you heard of QASA, sir? Gove: Oh yes, love it – running around, shooting my cabinet colleagues with lasers. Great fun. BC negotiator: No, sir, that’s Quasar. I’m referring to the Quality Assurance Scheme for Advocates. Terrible idea championed by those regulation wastrels at the Legal Services Board. Gove: Ah now, I have to draw the line there. You told me last time that independence of the legal profession was sacrosanct, so I would not dream of interfering with the oversight regulator’s work. BC negotiator: Of course, Lord Chancellor, you are most wise. Gove: In any case, one of my officials has come up with the most terrific wheeze. 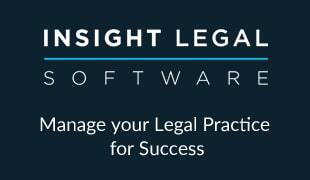 Why don’t we create another quality assurance scheme for advocates that sits alongside QASA and even uses some of the data it gathers. It would only apply to Crown Court work at first – after all, that’s where all you chaps work, no? BC negotiating team all nod. BC negotiator: And how would it be different to QASA? BC negotiator: And, er, do you have an excellent answer? Gove: Not one we could think to put in the consultation paper, to be honest. But I am concerned that solicitors will end up being terribly cross about all this, saying I should be focusing on them a bit more. I wouldn’t want them to think I’m favouring the Bar, not after all that business at the select committee the other month. BC negotiator: Of course not, Lord Chancellor. Gove: I mean, clearly I am favouring the Bar. I just don’t want solicitors to think I am. BC negotiator: Worry not, Lord Chancellor. By the time you’ve cut their fees and introduced two-tier contracts, there won’t be many of them left to complain.